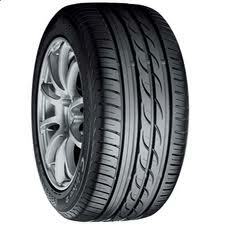 One of the flagship tyres in the Yokohama range and the successor to the ever popular staple that was the AC01 C.Drive. With a new and improved aysmmetric tread pattern, water dispersion and therefore, wet weather perfomance has been improved drastically. A lighter tyre compund has been made possible through the introduction, as common in the industry, of a silica compound into the production process. This allows more flexiblity without compromising the durability or integrity of the tyre, overall giving a superior wet weather perfomance. Long tread life is often associated with Yokohama tyres, and the AC02 C.Drive 2 is no different with some users reporting lifetimes nearly double the industry average. Truely an awesome tyre and at mid range prices.